The winners were all delighted to be awarded McCallum chanters. 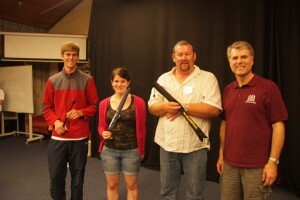 “The annual New Zealand summer school was another big success. There were over 200 students in attendance. 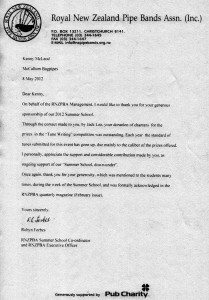 The pipers were encouraged to write original compositions and submit them to a group of adjudicators. The 3 winning tune-writers were delighted to be awarded McCallum chanters”. 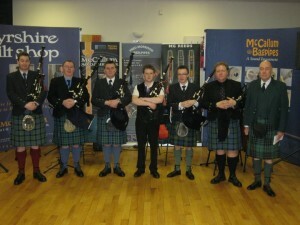 McCallum Bagpipes latest Roadshow will be in the North East of England on Friday 18th November, 2011 at 8pm. The venue for the roadshow is the Dubmire Royal British Legion Club, Britania Terrace Fence Houses, Houghton Le Spring DH4 6LJ. The show will feature Rory Grossart, Steven Leask, Stuart McCallum, Willie McCallum and Kenny MacLeod. MC for the event is Allan Hamilton. Tickets £7.00 (including supper) available from Kevin Reilly Telephone 0191 512 0650 or 07931322114 or email: kevnreilly@aol.com or alternatively contact members of the Houghton Le Spring Pipe Band. All proceeds go to RSPBA North East Branch and Sunningdale School for children with profound handicaps and complex medical needs. All expenses are covered by McCallum Bagpipes Ltd. 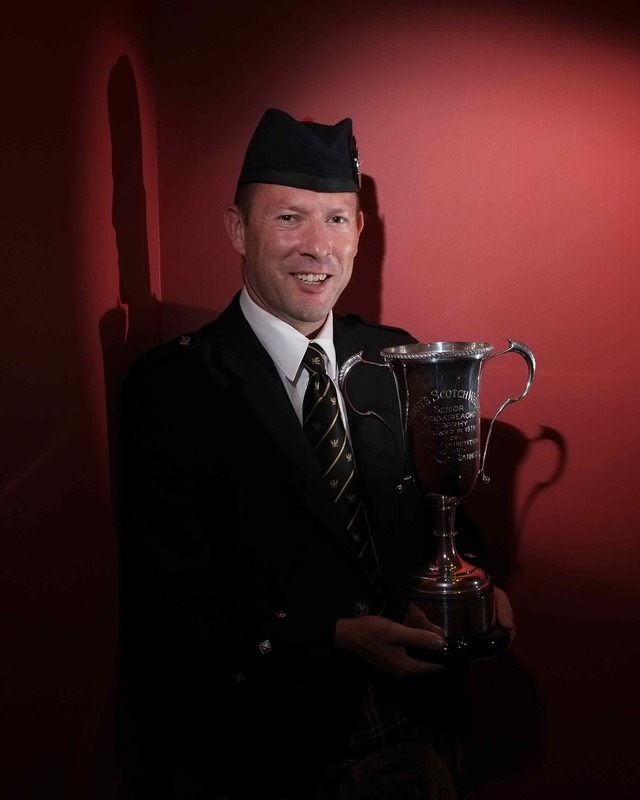 This year’s Argyllshire Gathering Senior Piobaireachd was won by Iain Speirs of Edinburgh. This is the most prestigious event at the Gathering as it is restricted to former winners of the Highland Society of London’s Gold Medal. Iain’s winning tune was ‘Port Urlar’. 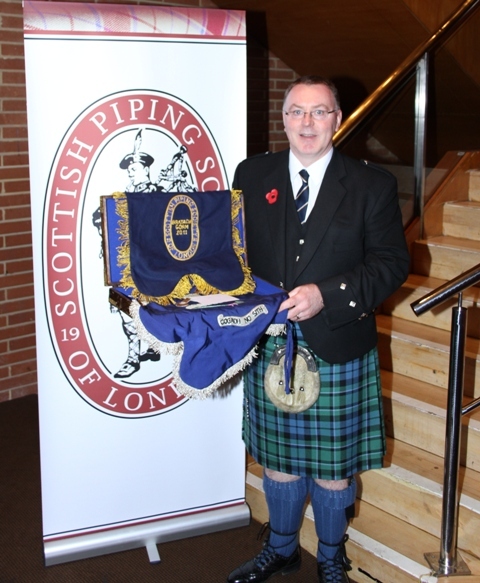 Iain was taught originally by Jack D. Crichton and by his grandfather, Jock Speirs, Pipe Major in the London Scottish and of the Johnnie Walkers Pipe Band and his father Tom Speirs, Inverness Gold Medal (1980) and Clasp winner (1983). 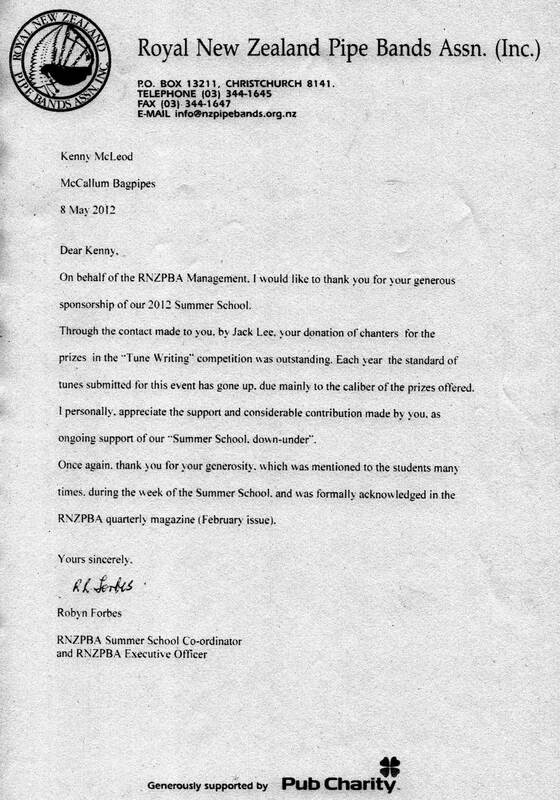 He is currently taught by Donald MacPherson. Winning this event guarantees the winner a place at the Glenfiddich Championship in October but Iain had already qualified by virtue of winning the overall championship at London last November. 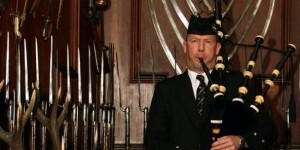 Iain has been a long time player of McCallum chanters and we wish him all the best for the Glenfiddich this year. 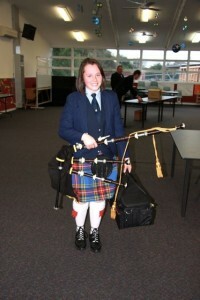 The 8th Annual McCallum Victorian Solo Piping Championships was promoted by the Moorabbin City Pipe Band and held at the Essex Heights Primary School in the eastern suburbs of Melbourneon Sunday 11th September. The day was successful with over 50 entries over 6 Grades of Light Music and 3 Grades of Piobaireachd. 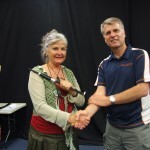 The McCallum Victorian Solo Championships also encompasses the Victorian Pipers Association Gold Medal for Piobaireachd which was won this year by David MacDonald of Melbourne. Alasdair Thom, fromScotland, won the Silver Medal. 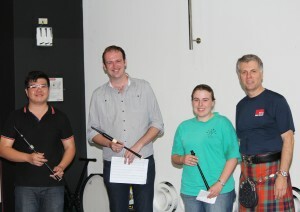 The overall A Grade Light Music was won by R J Houston and the overall B Grade Light Music by Christine Poulter. 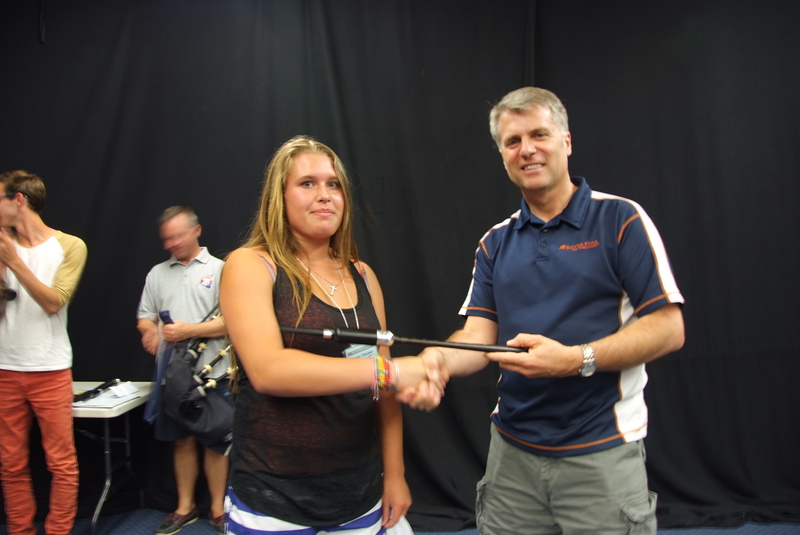 The McCallum Prize Bagpipes are awarded each year to a supportive and up and coming young piper as an encouragement award. 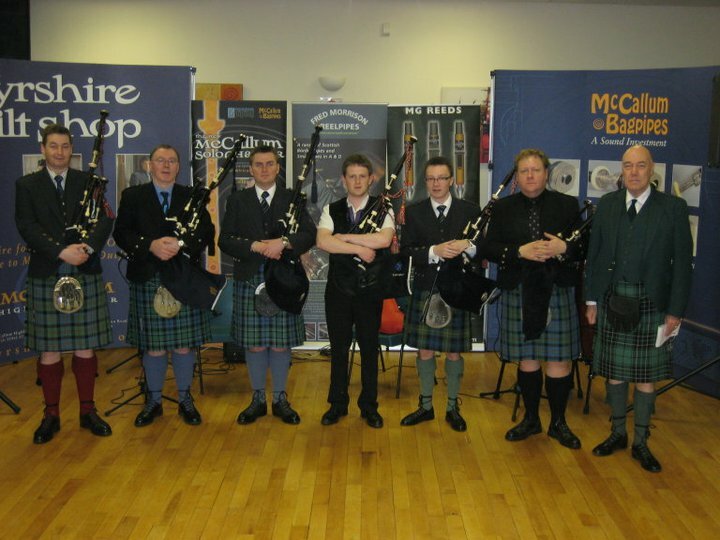 All the pipes have been won by pipers over the eight years who have gone on to play at A or B Grade level and also play in Grade 1 & 2 pipe bands, 3 of which have played at the World Pipe Band Championships in Grade 1 with bands such as Dowco Triumph Street, Peel Police and the Band Club. This year the McCallum Prize Bagpipe was awarded to Ellen McAnulty (pictured below). Gordon Bruce, pictured below, became only the 3rd person in history to win the double silver medal at the Argyllshire Gathering (Oban) and Northern Meeting (Inverness). Gordon is originally from Arbroath and now stays in Kilwinning. 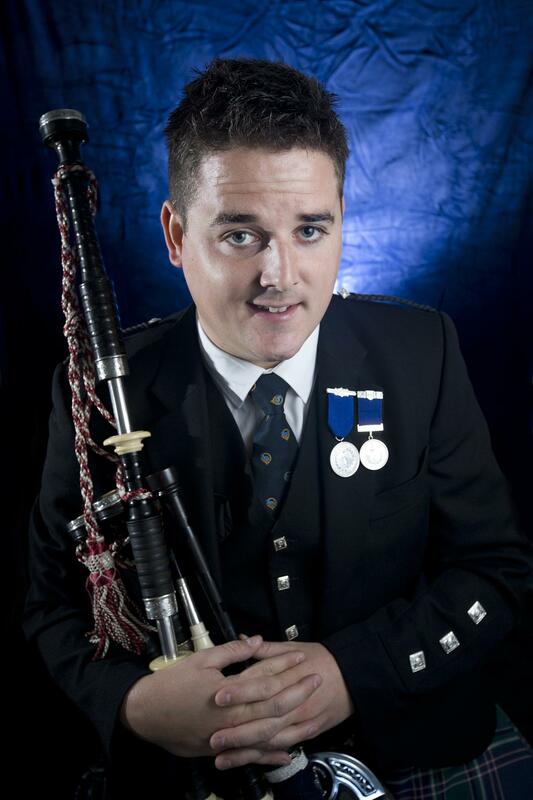 He graduated in 2007 with a 1st Class Honours Degree from the Royal Scottish Academy of Music and Drama’s BA Scottish Music – Piping Degree, becoming the first piper to graduate from the Piping Degree with 1st class Honours. 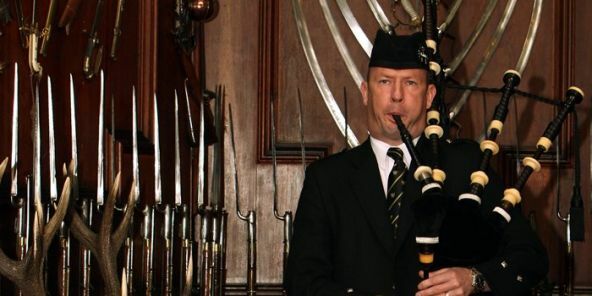 Gordon is the Bagpipe instructor at West Lothian Council, and PM of the West Lothian Schools Pipe Band, who have now begun to compete this year, Gordon having built the band up from scratch. Previous bands Gordon played with are:- Arbroath RBL, Gordon Walker’s 52nd Lowland Regiment and Scottish Power. 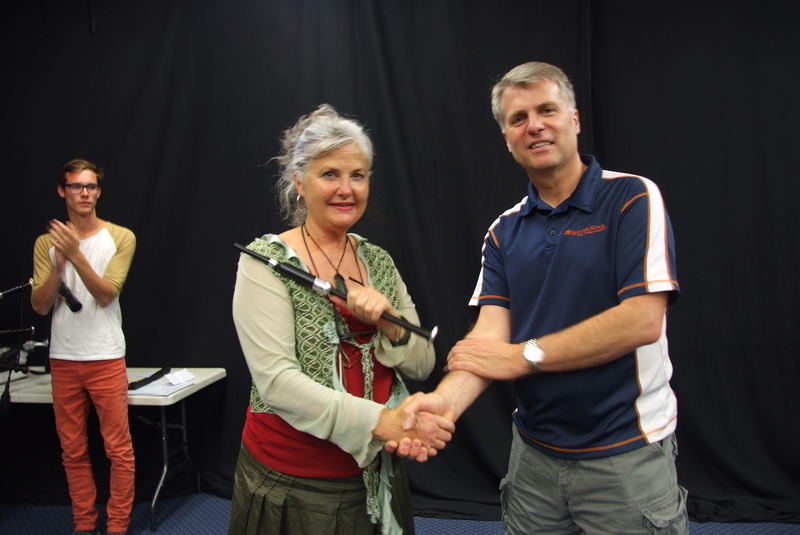 Gordon currently receives tuition from Anne Johnston. Anne is a previous winner of the Silver Medal at the Northern Meeting, and just to complete the family picture, Ann’s son Finlay is also a previous winner of the same medal. The tunes played by Gordon this year were ‘The Gen is Mine’ (Oban) and ‘The Battle of Auldearn (No1 Setting)’ (Inverness). 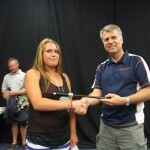 As well as winning both Silver medals also achieved the overall for the B grade events at the Northern Meeting. Gordon won all these events playing a McCallum Solo Chanter (McC²) which he has used for a number of years. We wish Gordon all the best for the Gold Medal competitions next year, although he will be a very busy man as he gets married next summer. 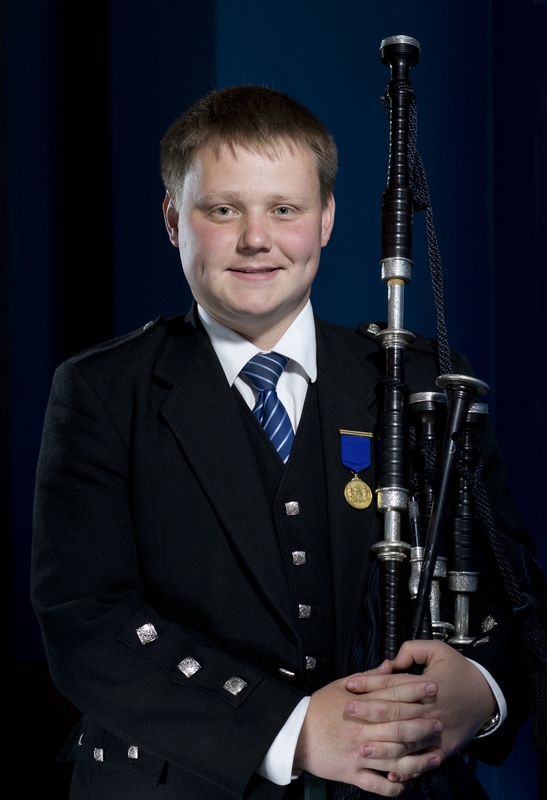 At the Argyllshire Gathering, on 24th August, 2011, the Highland Society of London’s Gold Medal was won by Callum Beaumont, from Bo’ness, playing the tune ‘Keppoch’s March’. He becomes the latest piper to be added to the illustrious list of players to have won this award dating back to 1873. Callum was originally taught by Bert Smith and Tom Speirs and currently takes tuition from Willie McCallum. Callum is an instructor at the National Piping Centre and plays with Inveraray and District Pipe Band. He has previously won the World Pipe Band Championship with Shotts and Dykehead and Simon Fraser University Pipe Bands. 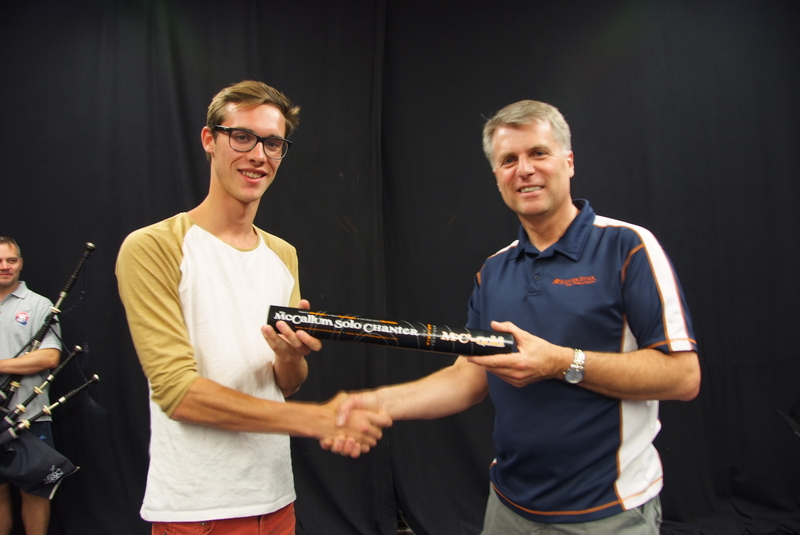 Callum is the latest in a number of prominent pipers who have recently won major prizes playing McCallum products. 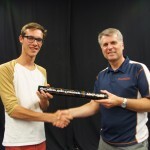 In Callum’s case, he plays a silver mounted set of McCallums and McC² solo chanter. Our hearty congratulations go to Callum and wish him every success in the future. The picture below shows a happy Callum displaying his Gold Medal and McCallum Bagpipes.